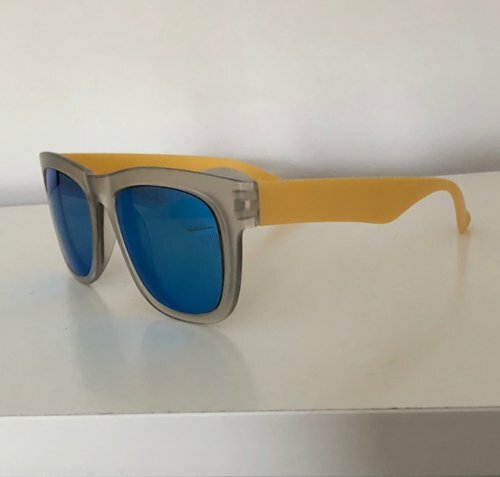 The glasses look just like the picture in all aspects apart from the arms - they are not a bright vibrant yellow at all but a dark yellow/brown (custard would probably be a good description of the colour). The arms do not match the fresh look of the rest of the frames & lenses. Very disappointing. Hi, looking at the image, the arms do look similar although your images are taken in a dimmer environment. Hi, I have checked your order and it it appears this order was completed within 4 working days, there were no delays with your order from what I can see. Unfortunately shipping with standard mail can take up to 10 business days.